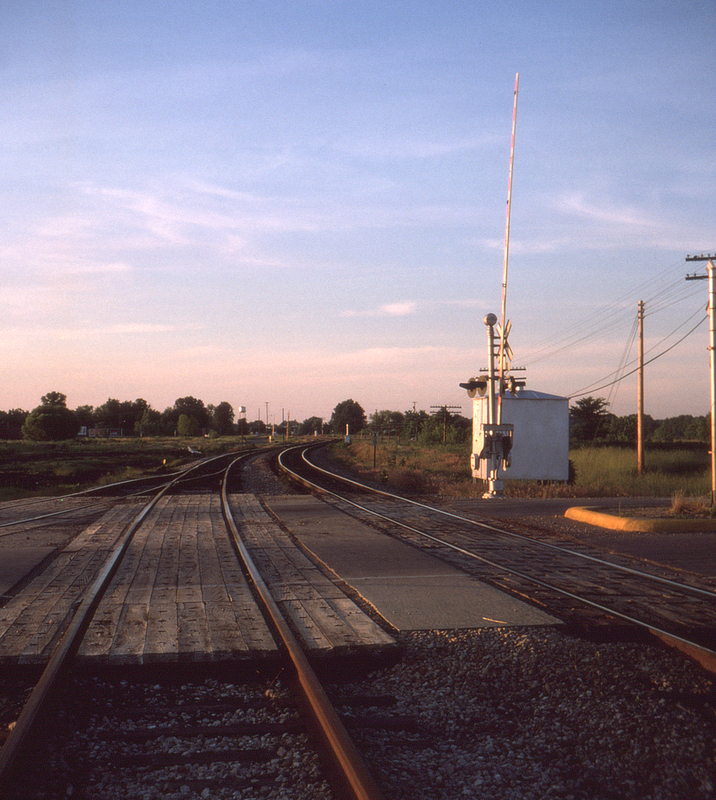 They may be potentially dangerous sources of injury and death, but grade crossings provide one of the few points of contact between railroads and the general public and have created many a railfan as a result of childhood encounters. This crossing of the Chicago & Eastern Illinois by U.S. Route 460 has an ambience all its own, with the late sun, distant water tower, and curving roadbed contrasting with the angularity of the crossing signal and gate. This was once a major through route for Florida trains, but with the coming of Amtrak it settled down to being the Missouri Pacific's main freight entrance into Chicago after 1967. This view faces north.